2018 turned out to be quite productive and outlined some trends and events patterns that might occur in 2019 in the Central Asian region. The editors of the analytical platform CABAR.asia interviewed experts in Kazakhstan, Kyrgyzstan, Tajikistan, Turkmenistan and Uzbekistan on the developments during this year, the most important challenges and trends. • Strengthening cooperation with Afghanistan. In some countries of the region, this year is marked by the beginning of a new electoral cycle. This starts the process of preparation of interested political forces for elections. In 2020, in Kazakhstan, presidential and parliamentary elections, as well as elections of deputies of maslikhats (local councils) at all levels, should be held. It is possible that some of them will be held during this year, ahead of schedule. The main intrigue of the upcoming presidential election is the likelihood of nomination of a potential successor to the current President Nursultan Nazarbayev. In Kyrgyzstan, similarly, in 2020, legislative elections to the Supreme Council (Jogorku Kenesh) are expected. Thus, the elections will become the main political event of the republic. Interparty dialogue will be intensified; parties will strengthen their work in the socio-political sphere. The results of party intrigues in the Social Democratic Party of Kyrgyzstan (SDPK) will be visible: members of the SDPK who oppose the party leader, former President Atambayev will join other political associations or create their own party. In early 2020, parliamentary elections should be held in Tajikistan, and it can be assumed that political parties will begin active preparations for this event from mid-2019. In Uzbekistan, the elections to the Supreme Assembly (Oliy Majlis) of both houses – to the Legislative Chamber and to the Senate are expected to take place in 2019. Until recently, four political parties were officially registered in the country. In early 2019, a new Ecological Party of Uzbekistan joined them. The upcoming parliamentary elections in Uzbekistan are remarkable for country’s implementation of the Unified Electronic Voter List and the managing the electoral process. Also in July 2019, the presidential elections in Afghanistan will be held. The presidential elections in this country will be a formally significant event for the Central Asian region in a broader sense, at a time of external players’ attempts to find a compromise with the Taliban. Traditionally, during such periods, terrorist groups’ attempts to disrupt elections tend to intensify. Accordingly, the countries of the region will pay special attention to security issues in Central Asia. In 2018, Kazakhstan adopted a Law “On the Security Council of the Republic of Kazakhstan”, which proficiently strengthened the role of this institutional body. One of its innovations is the status of the First President of the Republic of Kazakhstan – Nursultan Nazarbayev’s life-long leadership in the Security Council of Kazakhstan. According to experts, innovations have allowed to lay foundations for the power transition in a stable and controlled way. In this regard, it is likely that not Nazarbayev, but his potential successor will run for President at the next presidential election. The “Leader of the Nation” (Elbasy) himself will rule the country in fact, from the position of the Security Council’s chairman. On the other hand, the power transition may be postponed indefinitely, and early presidential elections will be held ahead of schedule, with Nazarbayev’s re-election for a new presidential term. Now, there are several options of power transition’s mechanism and, perhaps, the situation will clear in the next two to three months. In 2019, perhaps, there will be another career progression of the President of Turkmenistan’s son, Serdar Berdimuhamedow. In a short time, he has already tried himself in various high government positions. Now he is the deputy governor of Ahal Region. 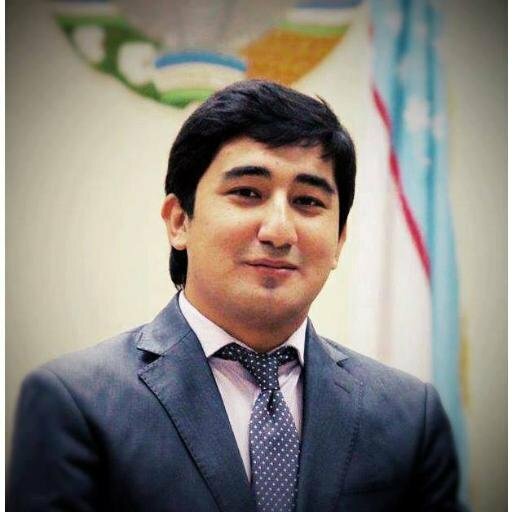 Previously, he held the position of Deputy Minister of Foreign Affairs of Turkmenistan. Most of the interviewed experts told that one of the most important for the region events of 2019 will be the second consultative meeting of the Central Asian states’ leaders, scheduled for March 2019 in Tashkent. It is possible that President of Turkmenistan Gurbanguly Berdimuhamedow will participate this time, that is, the leaders of all five countries of the region will be represented. This event will contribute to continuity of the process of relations normalization between Central Asian countries, which began last year, with a completely new level of multilateral interaction. Also in 2019, traditional CSTO and SCO summits are planned to be held, in which Kyrgyzstan gained the chairmanship. Leading politicians will speak about terrorism and other topics that are important from these organizations’ point of view. For Sooronbay Jeenbekov this will be a debut in hosting the honored guests as a president, and, of course, the Kyrgyz authorities will try to hold the events at a very high level. In 2019, Tajikistan is planning to launch the second unit of the Roghun hydropower plant, as well as to start the reconstruction of other large hydropower plants in Nurak and Qayroqqum. These actions will allow Tajikistan to ramp up the supply of cheap electricity to foreign markets, primarily to Uzbekistan and Afghanistan. In addition, a major political event will be held in Tajikistan this year – the Summit of Heads of States of the Conference on Interaction and Confidence-Building Measures in Asia (CICA), which will be attended by the Heads of CICA member states. The launch of the “Silk Visa” project between Uzbekistan and Kazakhstan in February 2019 is considered as one of the significant integration events for the region. It is assumed that this Central Asian analogue of the EU Schengen visa will help to increase the flow of foreign tourists to the region. “Silk Visa” allows foreign citizens to visit both countries on the same visa received in any of these countries. Kyrgyzstan and Tajikistan are observing this project with interest. This year a new European Union Strategy on relations with the countries of our region will be adopted, which focuses on cooperation strengthening between Central Asia and the European Union. The implementation of the existing Strategy, adopted in 2007, has its pros and cons. How well Brussels understands and is able to enhance the strengths and eliminate the imperfections of the Strategy determines the quality of the newly developed document. One of the key foreign policy events in Kyrgyzstan may be the signing of a new “Agreement regarding Cooperation to Facilitate the Provision of Assistance” with the United States, based on which a number of USAID humanitarian projects have been functioning for many years. Signing this Agreement can mean a thaw in Kyrgyz-American relations, and help to strengthen the US positions as an international donor in this country. 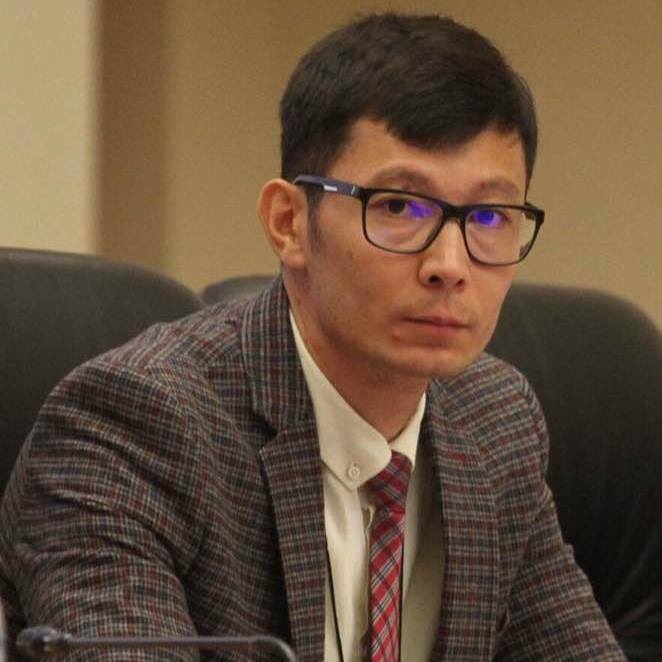 The government of Kyrgyzstan denounced the previous agreement on a unilateral basis in 2015, in protest against awarding a prize by the US State Department to Azimzhan Askarov, a human rights defender from Kyrgyzstan who was life sentenced. During the last years, a relatively positive tone in relations between all countries of the region have settled. Most likely, this trend will continue to exist, without any breakthrough new processes. Central Asian leaders will also continue to maintain their positive relations with the outside world, even facing the difficulties in relations between big actors. The key issue for Central Asia in 2019 is the preservation of socio-political stability in a setting of declining economy in the Russian Federation. Another key issue is the search for own trade and logistics niches in the markets of the EEU, China, the EU (with geopolitical strategies / vectors of foreign policy) within the framework of China – US clash, sanctions against the Russian Federation, expansion of trade partnership with the USA and the EU. In 2019, Central Asian countries will remain in the triple influence zone of Russia, China and Western countries. Infowars between global powers will increase in both national and regional media in Central Asian countries’ infosphere. 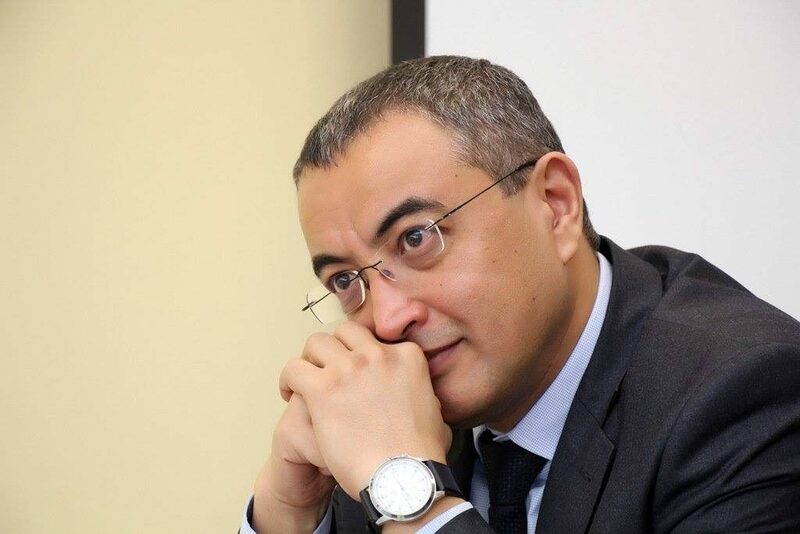 • What significant events and trends will occur in Kazakhstan in 2019? First, Kazakhstan entered the new electoral cycle. Officially, in 2020 and 2021, presidential and parliamentary elections respectively must be held. Only this circumstance itself can start the process of interested political forces’ preparations. Moreover, simultaneously with the parliamentary elections, local elections will also be held to maslikhats of all levels, which, according to last year’s amendments to the electoral legislation, will now be held on a pro rata basis. This factor may increase the activity level of the existing political parties, as well as lead to the creation of a new ones. At the same time, a number of factors indicate that some of these elections may be held ahead of schedule during this year. The main question about the presidential election is whether the power transition will be realized through them. 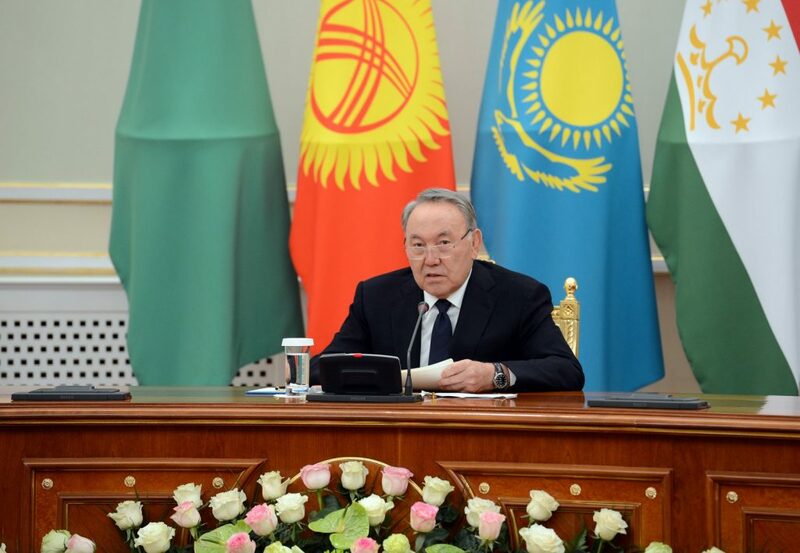 The Law “On the Security Council of the Republic of Kazakhstan” adopted in 2018, gave this institutional body a new status and powers by establishing life-long leadership of First President – Elbasy (Nation Leader) Nursultan Nazarbayev in the Security Council of Kazakhstan. This allowed lying foundations for the power transition in a stable and controlled way. In this regard, it is likely that not Nazarbayev, but his potential successor will run for President at the next presidential election. The “Leader of the Nation” (Elbasy) himself will rule the country in fact, from the position of the Security Council’s chairman. The probability of the implementation of such a scenario suggests that parliamentary and local elections might be held this year. This will make possible the serious reformation of the political system and the power balance within the ruling elite before the future power transition. On the other hand, the power transition may be postponed indefinitely, and early presidential elections will be held ahead of schedule, with Nazarbayev’s re-election for a new presidential term. In particular, this is facilitated by the prospects of economic situation worsening in 2019 with the inevitable impact on the social well-being of the population. In this scenario, it will be efficient for the authorities to take the lead and hold presidential elections. In general, so far the situation is quite uncertain. Although, most likely, certain clarifications will appear in the next two to three months. 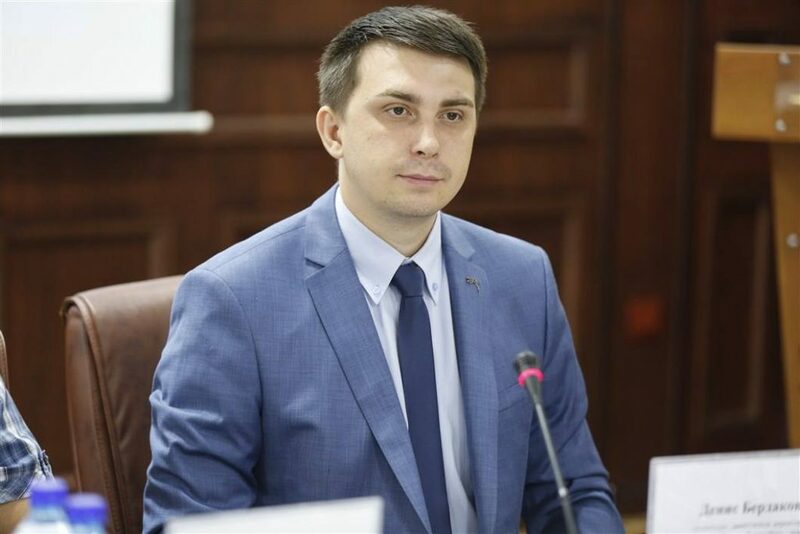 In addition, an official political agenda includes initiation the Year of Youth, the Roadmap of the internal affairs bodies’ modernization for 2019-2021 implementation, the expected adoption of amendments to legislation on religious activities and religious associations, the adoption of the law on the status of a teacher, etc. Nevertheless, if not the holding of certain elections, then the preparation for them will be the main determinant of political life in the country this year. • What important events will affect Central Asia as a region in 2019? One of the most important events for the region will be the second consultative meeting of the Central Asian states’ leaders, scheduled for March this year in Tashkent. It is possible that President of Turkmenistan Gurbanguly Berdimuhamedow will participate this time. In any case, this event will contribute to continuity of the process of relations normalization between Central Asian countries, which began last year, with a completely new level of multilateral interaction. Although, of course, a lot will depend on the coordination of specific joint actions to resolve certain issues of regional importance. Despite the large number of these issues, including the delimitation and demarcation of borders, the use of water and energy resources, countering terrorism and extremism, etc., not all countries of the region are ready for close cooperation in solving them. We should also note the adoption of the new European Union Strategy on relations with Central Asian countries for this year. The implementation of the existing Strategy, adopted in 2007, has its pros and cons. How well Brussels understands and is able to enhance the strengths and eliminate the imperfections of the Strategy, determines the quality of the newly developed document. How the recommendations and suggestions of interested official and non-state structures of Central Asian states will be reflected in the Strategy, will also make a difference. Therefore, the European Union not only retains an emphasis on a multilateral format of interaction with the Central Asian countries, but is also sets to improve it. As it is known, last year before the parliamentary vacations, the changes to the Constitutional Law of the Republic of Kazakhstan “On Elections” were initiated and quickly adopted. These amendments “formalized” the transition to a proportional-party model for electing deputies of local representative bodies. The introduction of position of akim’s (heads of administrative-territorial units) advisers on political issues remained unnoticed. A division of the “Big South” into the Turkistan Region and granting Shymkent the status of a city of republican significance took place. All this together allows formulating the conclusion that a thorough preparation for the so-called “political transit” takes place in Kazakhstan. Most likely, the elections of maslikhats (local representative bodies) will be held in the spring, or at last, in the autumn of this year. This will lead to a qualitative change in the Senate composition, since the main part of the upper house of parliament is formed by maslikhats. After the election of maslikhats deputies and changes in the Senate composition, the early dissolution of the Mazhilis of the Parliament will be initiated. In accordance with the Constitution of Kazakhstan, the Senate performs the Parliament’s functions of the adoption of constitutional laws and laws during the temporary Mazhilis absence, caused by the early termination of its powers. In accordance with the Constitution and the Constitutional Law “On Elections”, subsequent elections cannot coincide in terms with the Parliament election. However, this restriction does not apply to special presidential elections, which can be appointed by the head of state decision at any time and are held within two months from the date of their appointment. I believe that political transit will be held without the lower house of Parliament participation. In this process, the figure of the Senate Chairman will be particularly important, to whom the presidential powers will be transferred for the remaining term. According to the Constitution, if the Senate Chairman is unable to accept the powers of the President, they pass to the Chairman of the Mazhilis of the Parliament. If the Chairman of the Mazhilis is unable to accept the powers of the President, they pass to the Prime Minister of the Republic. 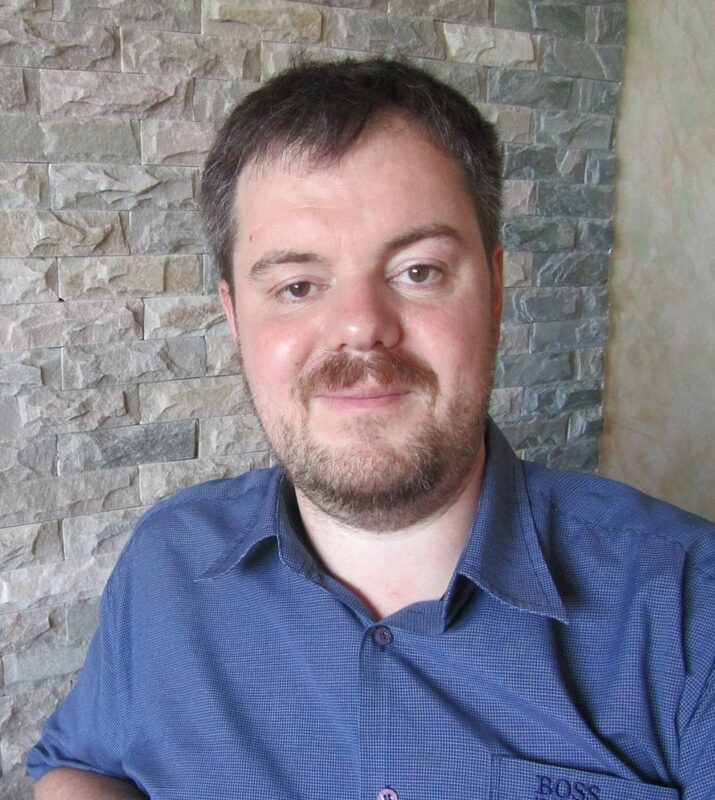 If the lower house of Parliament is “absent” during this period, then the Chairman of the Mazhilis drops out of the “list of possible successors”. The intrigue stands here. Will Senate Chairman be able to take on the constitutional and political responsibility to be “Acting President “or will the Prime Minister take control of the country in own hands? The Security Council with the extensive powers of its Chairman should not be forgotten as well. I assume that the political scenario will be adjusted during the transit itself. However, the fact that there are several options of the political transit mechanism is indisputable. In 2019, Central Asian countries will remain in the triple influence zone of Russia, China and Western countries. On the one hand, the “soft” pressure on Tajikistan and Uzbekistan to join the Eurasian Economic Union will increase. A special working party has already been established in Tajikistan, which comprehensively studies the risks and consequences of joining the EEU. At the same time, Chinese investments in Central Asia and Kazakhstan will increase. Western countries (in particular, the United States) will actively participate in the non-governmental sector of Kyrgyzstan and Uzbekistan through the grant support mechanism. The United States is quite successfully implementing the project of forming new political elite in Kyrgyzstan by supporting the young people’s education in American universities. Such investments in education will have a positive effect in the development of democracy and improvement of the political and legal knowledge of citizens. • What significant events and trends will occur in Kyrgyzstan in 2019? In Kyrgyzstan, the process of political transition, new arrests, accusations, etc. will most likely continue. Nevertheless, the President will need to move to more constructive wave. 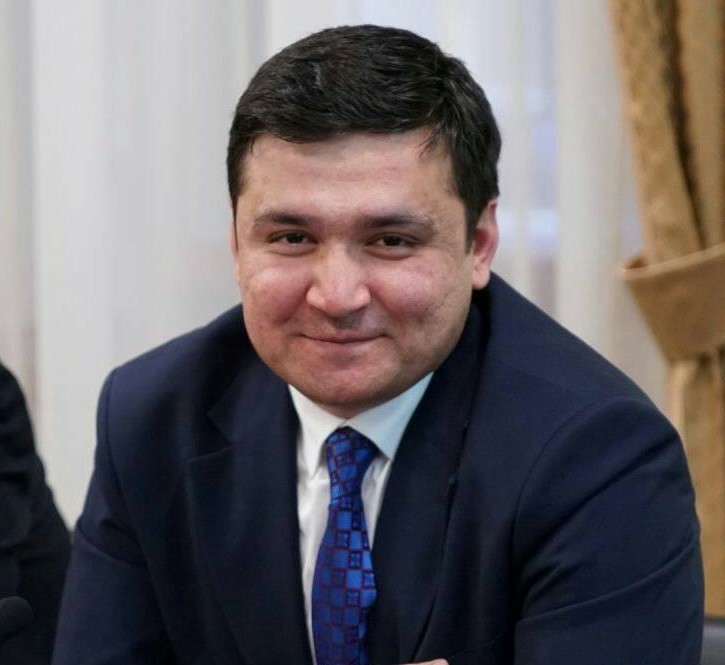 Criticism towards the authorities and the President will increase, and Jeenbekov will urgently have to show successes, achievements, which are very few and very difficult to multiply. However, this year the situation in the country is unlikely to boil, and big political disruptions should not be expected. The election year in Kyrgyzstan is 2020, and this subject will increasingly dominate the society’s discourse and especially among the political elite. Interparty dialogues will activate, the parties will “wake up”. 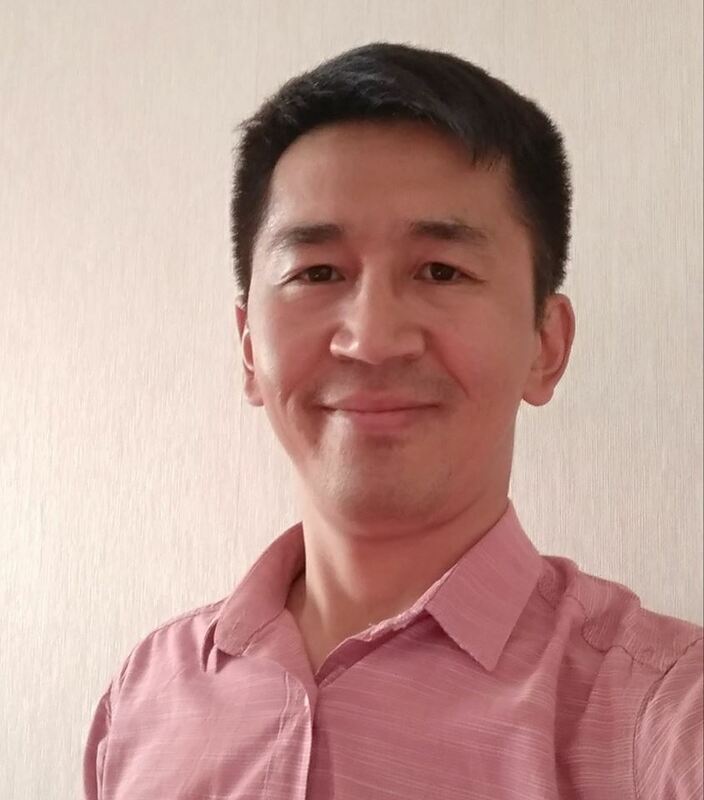 Somehow, it will become clearer what will happen to Social Democratic Party of Kyrgyzstan – whether the anti-Atambayevs will join elsewhere, or create something own. There is almost no chance of “taking away” the party from Atambayev. How exactly everything will happen – still not known. I think that 2019 for Central Asia does not suggest any good reason to expect big changes in any sphere. During the last years, a relatively positive tone in relations between all countries of the region have settled and I think this trend will continue to exist, without any breakthrough new processes. Central Asian leaders will also continue to maintain their positive relations with the outside world, even facing the difficulties in relations between big actors. The situation in Afghanistan – always an urgent topic in the region – will hold the attention of everyone. However, even Kabul is not well aware of how the situation will develop there. This year will not be remarkable for domestic political events. Summits of the CSTO and the SCO will be held, in which Kyrgyzstan gained the Chairmanship. Leading politicians will speak about terrorism and other topics that are important from these organizations’ point of view. For Jeenbekov this will be a debut in hosting the honored guests as a President and, of course, everything possible will be extracted out of these events. This year, the current President involuntarily will take the center stage. The smoke screen of the ex-president’s painful resignation is rapidly melting. This is also a year of preparation for the parliamentary elections, with the adjustment of various politicians to or against each other. The presidential elections in Afghanistan will be a formally significant event, at a time of external players’ attempts to find a compromise with the Taliban. For the post-Soviet part of Central Asia, the Summit of Central Asian countries in March in Tashkent is the interesting event. This will be the second meeting, which will show if some integration processes are possible without the involvement of large external actors. The abolition of exit visas in Uzbekistan from January this year will have a further social and economic effect on neighboring countries. In 2019 in Kyrgyzstan, parliamentary or presidential elections are not planned. Therefore, political life will run around with the long-discussed topic of government change, new personnel appointments. Significant for Kyrgyzstan events in 2019 are events in the economic sphere. It will be nice to have a two-year moratorium on unscheduled inspections of business entities actually working. There is no development budget in the country, the economy depends on the money transfers of workers from the EEU, drastic reforms in the economy are delayed, and the significantly strengthened som in relation to the currencies of the countries where Kyrgyz Republic exports, prevents the development of the agricultural sector. In 2019, Kyrgyzstan-China gas pipeline installation should begin, it will supply gas from Turkmenistan to China. In the context of the processes in Xinjiang Uyghur Autonomous Region (labor camps, etc. ), this and other investments projects with China can turn into scandals and even a political crisis. The key foreign policy event may be the signing of a new “Agreement regarding Cooperation to Facilitate the Provision of Assistance” with the United States, based on which a number of USAID humanitarian projects have been functioning for many years. In 2019, we will see a continuation of the trend of regional integration development. If in 2018 Uzbekistan expanded the economic relations of with other countries of Central Asia, then in 2019, this trend will be joined by Tajikistan, which has begun to expand trade and economic ties with the countries of the region. The key issue for Central Asia in 2019 is the preservation of socio-political stability in a setting of declining economy in the Russian Federation. Another key issue is the search for own trade and logistics niches in the markets of the EEU, China, the EU (with geopolitical strategies / vectors of own foreign policy) within the framework of China – US clash, sanctions against the Russian Federation, expansion of trade partnership with the USA and the EU. The key threats are the IS groups in Afghanistan, the power transition in Kazakhstan, the revival of Islam in Uzbekistan. A potential opportunity is the creation of a single Central Asia and Afghanistan market with access to India in the context of the tactical victory of Donald Trump in his vision of the region development as a place of goods’ sale for US corporations. • What significant events and trends will occur in Tajikistan in 2019? In 2018, the Republic of Tajikistan achieved great success, on the world stage as well. The restoration of friendly and good neighborly relations with the Republic of Uzbekistan is one of the most important achievements in the Tajikistan’s foreign policy. In addition, last year, the first unit of the Roghun hydropower plant, which has high strategic importance for our country, was launched. In 2019, the country is planning to launch the second unit of the Roghun hydropower plant, as well as to start the reconstruction of other large hydropower plants in Nurak and Qayroqqum. These actions will allow Tajikistan to ramp up the supply of cheap electricity to foreign markets, primarily to Uzbekistan and Afghanistan. 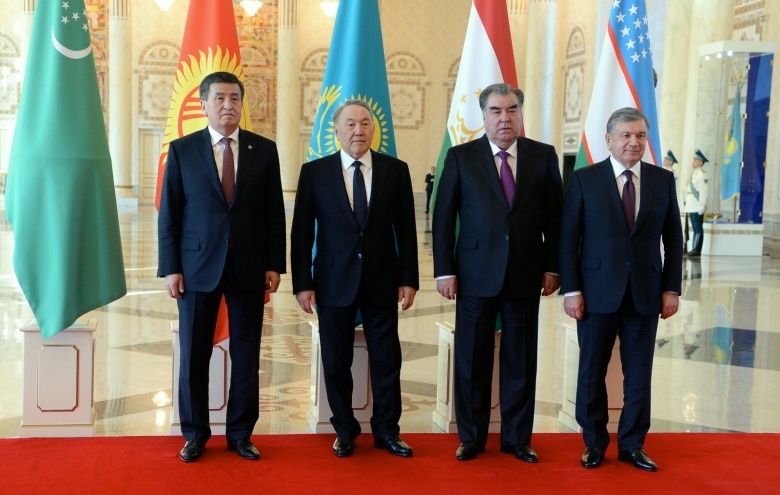 A major political event will be held in Tajikistan in 2019 – the Summit of Heads of States of the Conference on Interaction and Confidence-Building Measures in Asia (CICA), which will be attended by the Heads of CICA member states. 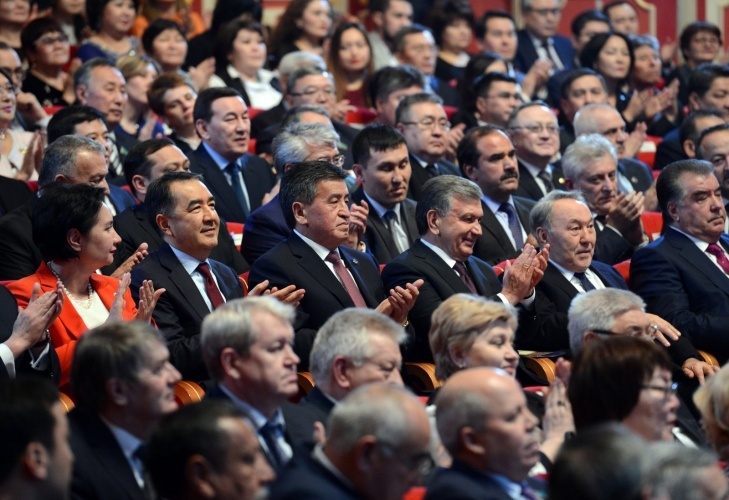 An important event affecting the Central Asia as a region will certainly be the second meeting of the Consultative Council of the Heads of State of Central Asia. This event will be crucial, since after the “debut meeting” of the heads of states, this meeting will determine further steps to strengthen friendship and good neighborly relations, and a lot depends on this meeting for the future integration processes in the region. 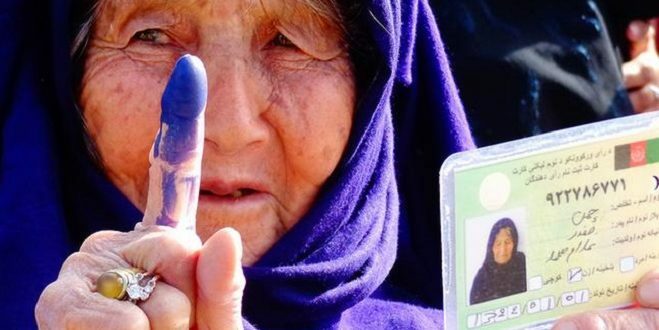 This year presidential elections in the Islamic Republic of Afghanistan will be held. Traditionally, during such periods, terrorist groups’ attempts to disrupt elections tend to intensify. Accordingly, the countries of the region will pay special attention to security issues in Central Asia. The confrontation of key external players is also expected to increase, which will also affect the foreign policy guidelines of the Central Asian countries. A new European Union Strategy on relations with the countries of our region will be adopted, which focuses on cooperation strengthening between Central Asia and the European Union. It is assumed that 2019 will be rich in the events for Tajikistan. First, the country announced its fourth strategic goal – industrialization. All the work of the country’s economic bloc will be focused on the implementation of tasks in order to achieve this important for Tajikistan goal. Secondly, the country’s policy on the extremism prevention will bear fruit. Today, there is an active work on the citizens’ repatriation from abroad, especially those who were charged with membership in banned organizations. The problem of extremism prevention will be particularly relevant in the socio-political processes of Tajikistan in 2019. Thirdly, in April, the launch of the second unit of the Roghun hydropower plant is planned, which is very important for the country’s energy independence. Finally, it should be noted that at the beginning of 2020, the parliamentary elections should be held, and it can be assumed that political parties will begin active preparations for these events from mid-2019. Due to the active development of the situation in Central Asia, it is very difficult to make a forecast regarding its direction. Thus, in this context, three segments can be emphasized. First, the next Summit (the second after March 2018) of the Heads of Central Asian States in Tashkent is expected to take place in March 2019. Thus, we can assume that close cooperation between the countries of the region will be intensified. Secondly, various options of cooperation from global and regional powers are proposed for Central Asian countries. This factor activates the format of cooperation and competition between these actors, which in general carries certain risks for the countries of the region. Thirdly, infowars between global powers will increase in both national and regional media in Central Asian countries’ infosphere. It should be emphasized that these powers mainly fund the regional media. Thus, in 2019 the region will face very serious challenges in the infosphere. • What significant events and trends will occur in Turkmenistan in 2019? No special political events are planned for 2019. Both parliamentary and presidential election were held recently, in 2018 and 2017 respectively. In 2019, perhaps, there will be another career progression of the President of Turkmenistan’s son, Serdar Berdimuhamedow. In a short time, he has already tried himself in various high government positions. Now he is the deputy governor of Ahal Region. Previously he held the position of Deputy Minister of Foreign Affairs of Turkmenistan. I would not add Turkmenistan to the topic of Central Asian trends. For all the years of independence, Turkmenistan has isolated itself from its neighbors. I do not think that in 2019 any changes will be made. I can hardly imagine that Turkmenistan will join the “Silk Visa”, for example, or enter into some kind of CSTO alliances, even if Turkmenistan faces a threat from Afghanistan (this, by the way, is not excluded). • The main question that concerns many: Is the end of the economic crisis in Turkmenistan visible? Are there any positive developments? No short-term changes are foreseen. After the news about Gazprom resuming the purchase of Turkmen gas, there appeared a rumors that people’s lives would improve. However, except stating willingness to buy Turkmen gas, there are no specific actions for now. Moreover, according to my data, in the negotiations on the terms of gas supply, the parties have serious disputes, both on price and volumes. I think the negotiations will drag on for a long time. • What significant events and trends will occur in Uzbekistan in 2019? In domestic policy, parliamentary elections are expected in 2019 – to the Legislative Chamber and to the Senate. An active foreign policy at regional and Eurasian levels will continue to strengthen. In 2018, besides other visits, the first visit of the President of Uzbekistan to a European country – France took place and this direction in 2019 will be strengthened by a visit to Berlin. We are also waiting for several major visits to Tashkent. In the Afghan direction, positive dynamics will be consolidated in 2019. The Tashkent platform will continue to develop and supplement, there will be a big number of projects and events, and I think that political and economic affairs of a voluminous, serious nature will be discussed and promoted. I do not think there will be a very serious breakthrough in this direction and this is, on the contrary, good news for me. First, it is necessary to create a foundation in the form of practical, mutually beneficial cases. Good news is what happened in March 2018 – an informal Summit of the Heads of Central Asian States, and I hope in 2019 this trend will continue. It was the initiative of the President of Uzbekistan and it took place in Astana. In March of this year, the same meeting of all the Presidents of five countries, but now in Tashkent will take place. This is a platform for discussion of the most important problems of the region. It is good when there is no formal, legally binding procedure, no papers and documents, but simply an attempt to build a dialogue between the leaders of the countries. Therefore, I think that there will not be any large institutional changes, but the transport, energy and tourism problems will be discussed. We are already on the verge of introducing the Uzbek-Kazakh tourist multi visa. I think Tajikistan, Kyrgyzstan, gradually Turkmenistan will join it, and our region will become a single tourist area. Such issues are the ones to start with. I still hope for the practice of small affairs, which will provide to the formation of a solid foundation. The year for Uzbekistan begins with two major visits to the West: to Germany and Canada. In addition, as the officials themselves and the expert community note, this year will be the main trial period for the reform and transformation programs announced by the President. 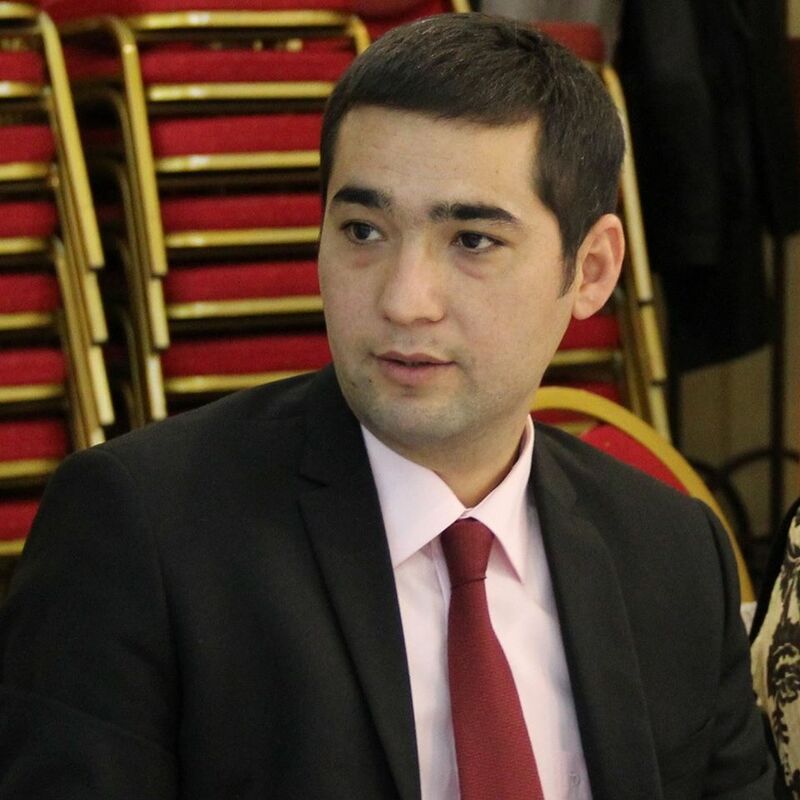 There were many discussions around the question: “When is the turning point for reforms in the country, when will it become clear whether reforms will be put in place in Uzbekistan or not?” I believe that exactly 2019 will become the main decisive and defining moment of the transformations’ fate in the country. Someone will really have to tighten their belts, while labor migrants and compatriots abroad will have to increase the money amount sent to their relatives in their homeland. As long as illegal demolitions of houses and other private property of citizens, medium and small entrepreneurs persist, oligarchic groups are strengthening, that decide in private what should be formulated in laws and open discussions. In their turn, they launder money through offshore companies, and cut a dash, showing it all up as “foreign” investments. Historical and cultural heritage is illegally destroyed in Shakhrisabz, Samarqand, Karakalpakstan, Ferghana, and other cities. Representatives of the international community and intelligentsia are more worried than Uzbekistan authorities. This year, Uzbek authorities’ intentions and abilities to preserve the integrity of the historical objects of their own country will become quite clear. I believe that this year the discussions and mindsets on such progressive ideas as feminism, human rights, protection of the rights of minorities, women, saving children from domestic violence, inclusive education, human contacts, ecology and food security will increase in the country. Moreover, this is a test year when it will become clear, what the authorities prefer to choose: objectively secular and progressive, not as fake as now, or religious and conservative, with some obscurantism, pushing to technological, educational and economic regression forever. I would not hurry with integration. First, it is necessary to understand why is this integration necessary, and against what should it be created? As known, any integration is created for the sake of something, and most importantly – against someone. This is the simplest basis for the motives of any integration. Therefore, we must first answer, for what and against whom should this integration be created? What are the ideological foundations and philosophies, what is the foundation of this integration? If integration should occur just because the most of population in the countries of the region is Sunni Islam, and almost everyone speaks Turkic, with the exception of Tajikistan, then otherwise not the Europeans, but the Arabs would show us an effective example of integration. Therefore, it is necessary to start from the bottom, to descend from the skies. For it is impossible to talk about the imminent integration, as long as the cells and humiliating bureaucratic procedures at border checkpoints remain, and the youth of the states of the region contacts with each other not in the region, but in foreign universities, NGOs, or summits. For now, there is not even an initiative of joint student programs between the states, which could unite them with the humanitarian ties, but everyone keeps talking about the imminent onset of integration along the EU model. This all sounds beautiful, loud and intriguing, but it would be better if this year we start from the very bottom and foundations, and do not put the roof on a single board. The topics of power transition in Turkmenistan and Kazakhstan, as well as problem of food security in Turkmenistan, and the complex environmental and infrastructure problem in the region as a whole will be discussed. Poor environmental conditions, slow reduction of irrigated land, uncontrolled flow from the deprived rural areas to cities, step by step, may complicate the stability in the region. Add to this the active growth of obscurantism and the simplification of social life, the education and educational institutions neglection, and the whole picture will not look good for us. However, this is an increasing trend, and this year these tendencies will be in front of us all. 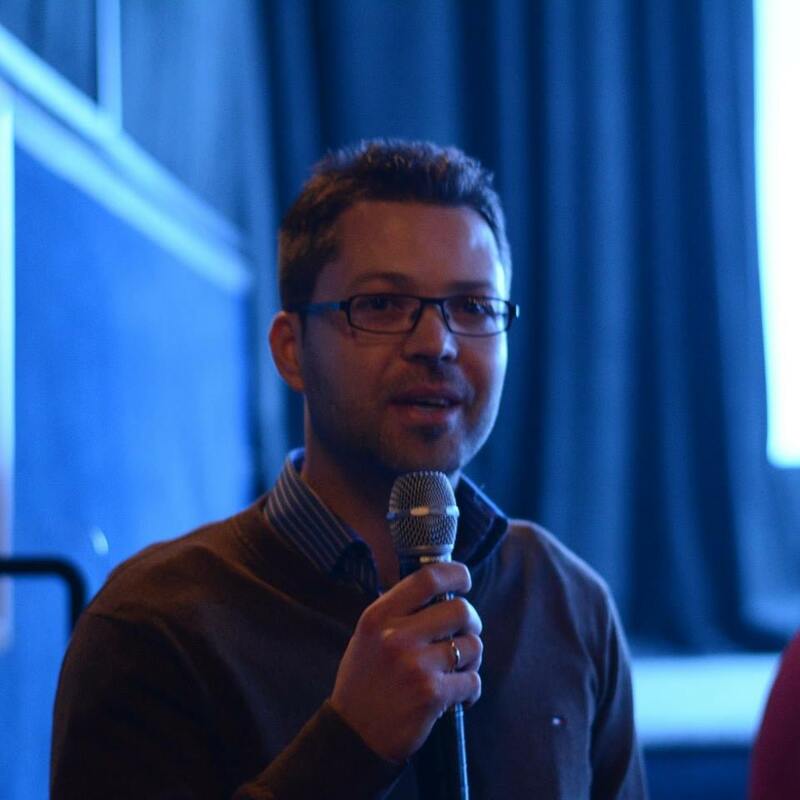 This article was prepared as part of the Giving Voice, Driving Change – from the Borderland to the Steppes Project implemented with the financial support of the Foreign Ministry of Norway. The opinions expressed in the article do not necessarily reflect the position of the editorial team or a donor.